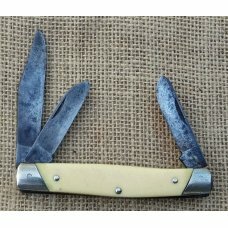 DAMAGE: A good deal of wear & scratches to handles, blades & bolsters. 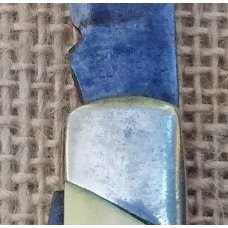 BLADE WEAR: Approx 20% and clip blade is approx 1/4” short. 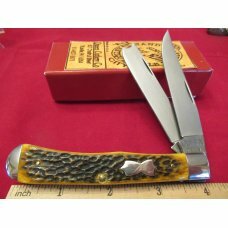 SNAP: Good snap on master blade, hard snap on the spey blade & sheepfoot is lazy closing. 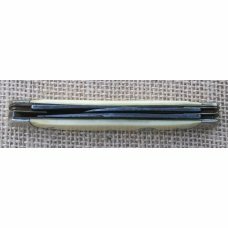 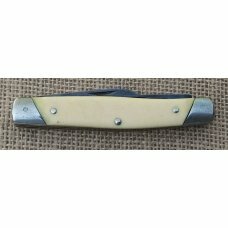 ADDITIONAL INFO: At one time most of the John Primble Belknap Hardware knives were made by either Schrade or Boker. 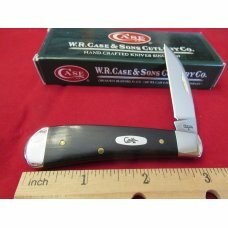 I am told that the knives made by Boker can be identified by a 5 pointed star stamped on the back of the master blade. 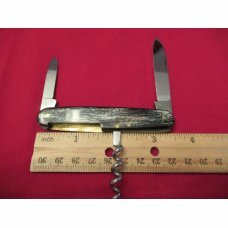 The star is indeed there on this knife beneath the pattern number. 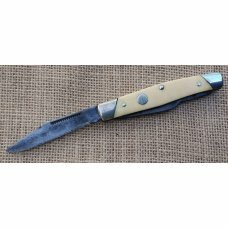 I didn’t spend a great deal of time cleaning this knife or polishing it it’s worn enough that it wouldn’t significantly increase the value to me, so I leave that up to the new owner. 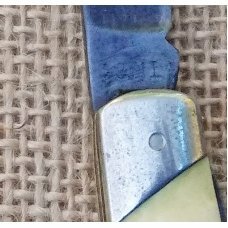 There is lots of patina on these blades and the patina, along with wear makes it difficult to read the tang stamps, but even without cleaning I can read them with a glass and someone with good eyes could probably see them fine without a magnifying glass. 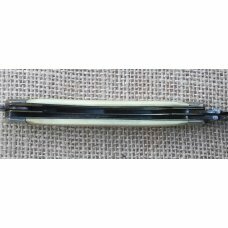 In checking side play on the blades they are solid however they will flex a little but they are not loose. 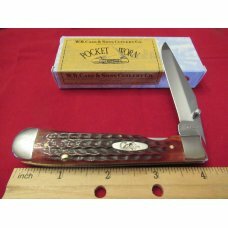 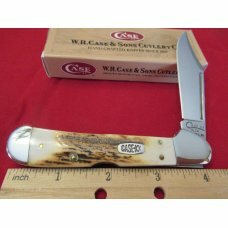 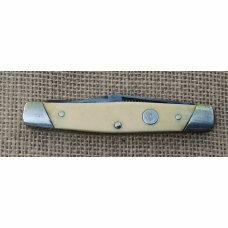 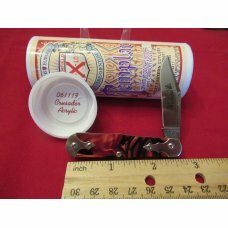 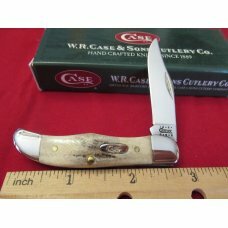 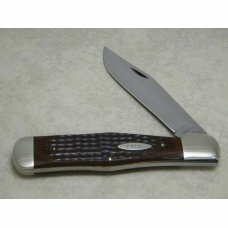 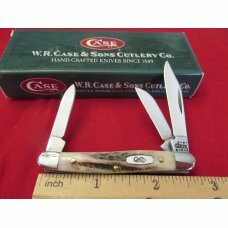 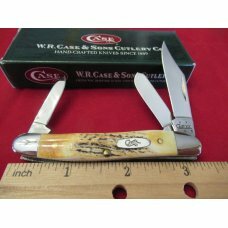 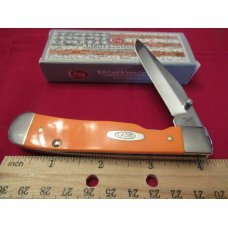 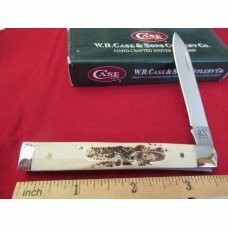 This is one for the Boker lover who would like to make this one shine again!